President Trump has repeated his to-date unfounded claim that former President Barack Obama wiretapped his Trump Tower phones, saying his accusations have "proven very strongly." 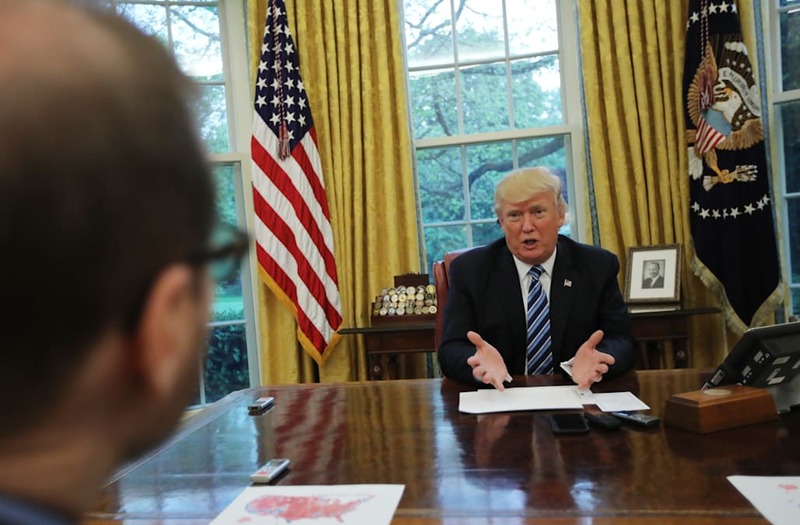 Trump's reassertion came during a CBS News interview with Washington correspondent John Dickerson, during which Trump and Dickerson sat down in the Oval Office and discussed a wide range of topics surrounding the president's first 100 days in office. In discussing Trump's relationship with Obama, Dickerson pressed Trump when he noted the presidential pair have "had some difficulties," mentioning surveillance. "I don't stand by anything. I just-- you can take it the way you want. I think our side's been proven very strongly. And everybody's talking about it. And frankly it should be discussed. I think that is a very big surveillance of our citizens. I think it's a very big topic. And it's a topic that should be number one. And we should find out what the hell is going on." Dickerson then pressed Trump further, at which point the president said "I have my own opinions. You can have your own opinions," and dismissed Dickerson. FBI Director James Comey and Senate Intelligence Committee leaders came out in the wake of Trump's initial wiretapping claim, disputing the accusations as not based on information available to either entities at that point. "Based on the information available to us, we see no indications that Trump Tower was the subject of surveillance by any element of the United States government either before or after Election Day 2016," a March statement from Committee Chairman Sen. Richard Burr and Vice Chairman Sen. Mark Warner read.